It’s a False Detection: there is no problem with AppStudio. Kaspersky is misinterpreting something in our installer as a threat. The procedure when this happens is for us to upload a copy of our software to their site so they can examine it. I’m not sure why it has to be our problem to fix, but we have done so a couple of times. There has been no response from Kaspersky. This is complicated by the fact that we update AppStudio frequently, especially after a new release. They may mark a build as good, but we issue a new one a few days later. Until we hear something, we recommend you turn off Kaspersky when installing AppStudio, or use another anti virus app. All should be good after this. Update 2: There are reports of similar messages from Microsoft Security, AVG and Norton. 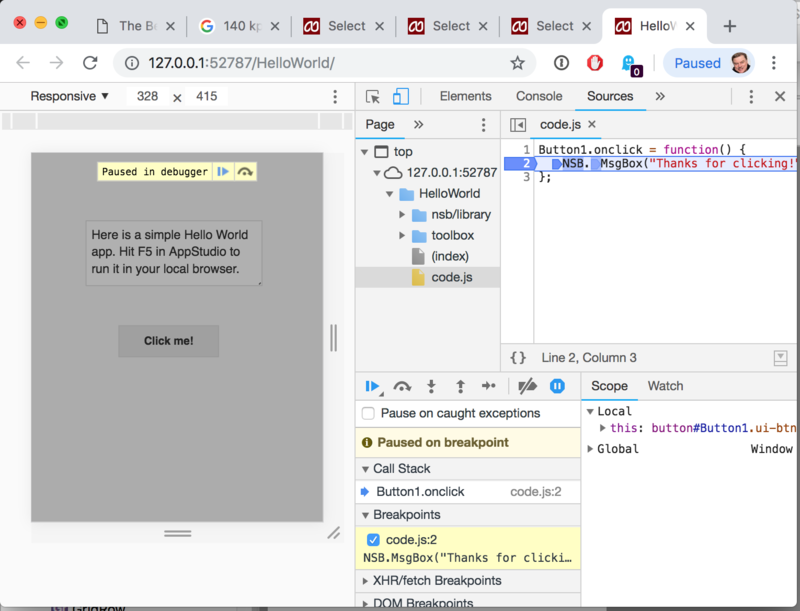 The Chrome Developer Tools are incredibly useful for debugging your app. 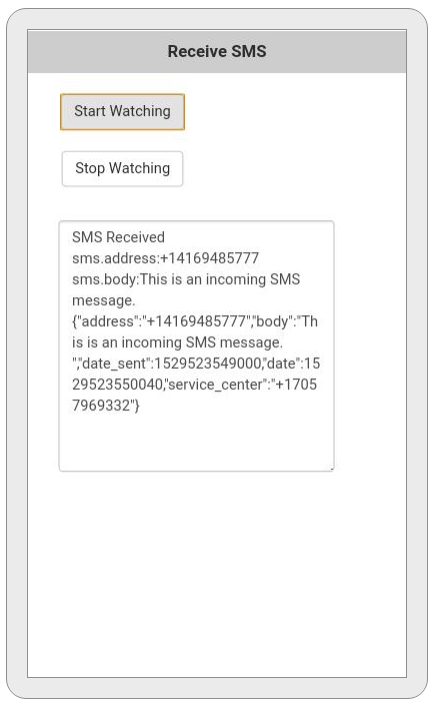 If you’re working on an app, you almost always want to have them open to check for errors, examine variables, look at your controls and do many more things. But if you want to use them on Windows, you have always had to hit F12 after the page loads to open the Developer Tools. AppStudio 7 opens them for you automatically. There are two things that are needed for this to happen. You need to be on Windows. You can’t already have any windows open in your Chrome browser. AS7: What’s new in Frameworks? 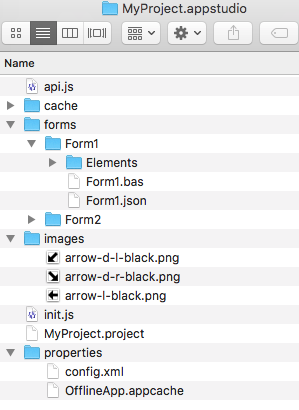 Frameworks are the collections of controls in AppStudio. 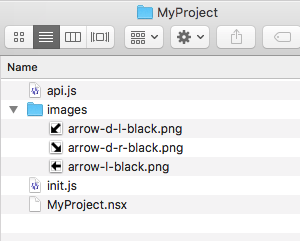 Each is a major product in itself: AppStudio has definition files which make it easy to drag and drop the controls onto the Design Screen. Since each one is developed by a different group, they have important differences. This blog post should get you up to date on the status of each one. In the Toolbox, these 30 controls are mostly light purple in color. Headings include Common, Date and Time, MultiMedia and Finance & Social Media. They are developed and maintained by us. There are no major changes in AppStudio 7. Where needed, they have been updated and modified for consistency with other controls. These controls play well with the other Frameworks. Bootstrap 3 was introduced in AppStudio 6. Originally developed by Twitter, they have been spun off into their own development group. It’s one of the most popular frameworks on the web, used by millions of websites. The 27 controls are clean, powerful and nice to work with. New development on Bootstrap 3 has stopped, but the controls are still being maintained by the group. There’s a strong community as well. 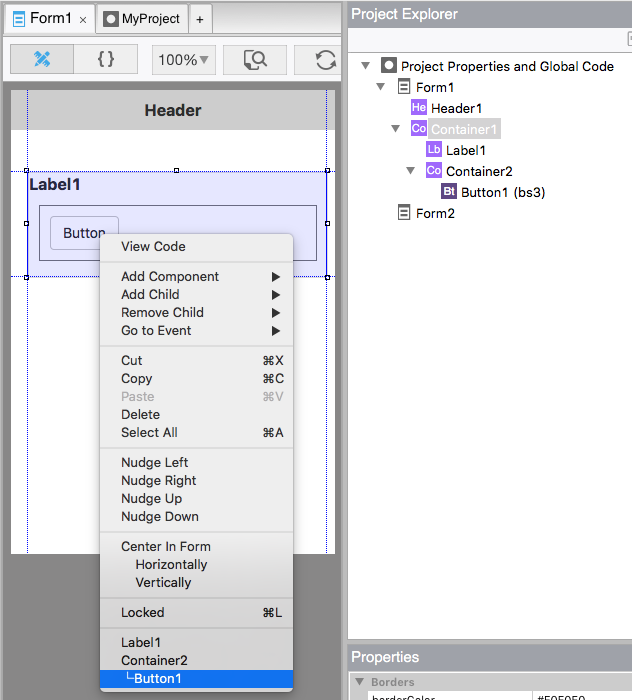 AppStudio 7 has a number of bug fixes and refinements to the controls, but no major changes. We will continue to maintain them. Bootstrap 4 was released just a few months ago by the same development group as Bootstrap 3. They cleaned up a lot of the Bootstrap 3 code and made many improvements. We expect it to be one of the most popular frameworks in the years to come. Unfortunately, it’s not a simple upgrade. There are significant changes to all of the controls. AppStudio minimizes these differences: Bootstrap 4 works pretty much the same as Bootstrap 3, but there was a lot of work under the covers to make this happen. You can’t use Bootstrap 3 and 4 in the same project: the CSS definitions conflict. We recommend using Bootstrap 4 for new projects. Another year has gone by without a new version of jQuery Mobile. For those keeping count, the last update was in 2014. It’s developed by the jQuery Foundation. It continues to work fine with modern browsers. We don’t see any reason to drop support for it or tell you to stop using it, but it’s probably not good to use for new projects. It does not support the current version of jQuery (! ), which could cause problems. We’ve only made minor changes to its 16 controls. The jQWidgets team continues to improve this massive set of powerful controls. They work well, look good and have any feature you can imagine. In AppStudio 7, we’ve added some new ones to the list of 29 controls. 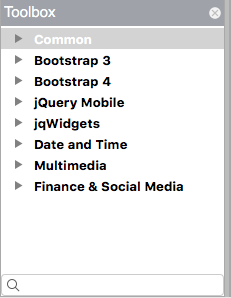 The jQWidgets controls play well with others: you can use them in your projects along with controls from the other frameworks. Reflecting the amount of work and scope of these controls, they are the only ones which cost extra – you’ll need a license from JQWidgets to use them in a commercial project. 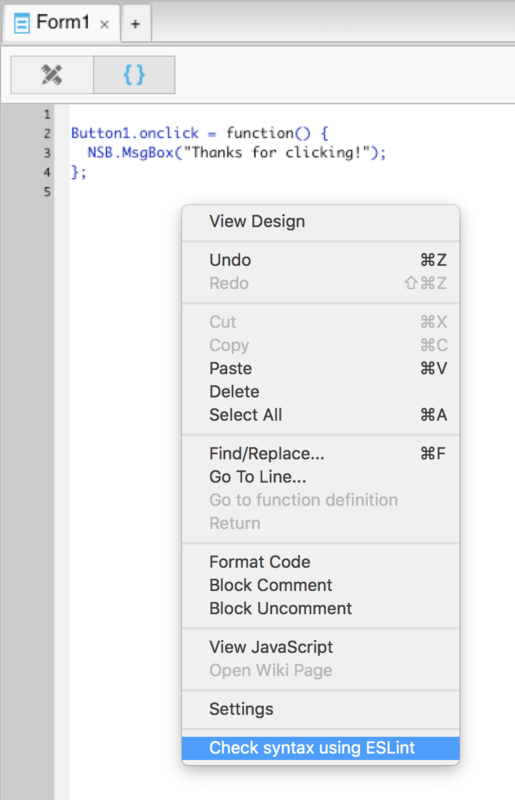 AppStudio makes it easy to nest controls inside of other controls. Want a group of Buttons to be inside a Container? Drag and drop them into the Container. But if a control is buried deep inside several layers of Containers, it can be difficult to select in the Design Screen. AppStudio 7 makes it easy. Right click at any point in the Design Screen, and AppStudio will display the hierarchy of controls at that point, so you can select the one you need. In this example, the right click was done on top of the Button. The context menu shows that Label1, Container2 and Button1 are there. If you click on Button1 in the menu, it is selected. iOS 11 brought a change to the way your app gets positioned on the screen. A reason for this is the new iPhone X, with its ‘notch’ at the top. However, this change affects all iOS devices, not just the iPhone X.
Apple introduced a new parameter for web pages called viewport-fit. iOS devices have a ‘Safe Area’, which is screen space the app can safely use. viewport-fit defines how your app uses the Safe Area. If set to contain (the default) your app will be confined to the Safe Area. If set to cover, it will use the entire screen. In AppStudio 6.3.0.3 (released today), we have added a new viewportFit project property you can use for your app. It works together with the StatusBar property to define what is on top of the screen. This is how many apps will look running iOS 11 with AppStudio before 6.3.0.3. Notice the empty space above the Header? It actually takes the color of your app’s background. The status bar info is there, but invisible since it is white on white. By changing viewportFit to cover, the app now fills the whole screen. But now the status bar info is showing IN our Header. If you want to use this combination, add 20 pixels on top of the Header for the status bar. Making the status bar black means that your app gets positioned below it. No problems here! If the status bar is black, it doesn’t seem to matter if you use cover or contain. A couple of days ago, one of our users asked a good question on our discussion board: Can Volt’s services be used from a PhoneGap app? It sounds like a reasonable request. PhoneGap apps are compiled web apps which run as native apps. AppStudio is very good at making these. Volt is a collection of services, including features such as serverStorage, which lets users of your apps easily save or share data on a server.